Most drivers surveyed believe that distracted driving is a problem on the rise, but they don't always practice what they preach, according to a recent survey from the AAA Foundation for Traffic Safety. WASHINGTON — When it comes to hitting the road, most drivers are concerned that distractions behind the wheel are bigger problems today compared to three years ago, according to a recent AAA survey. The 2017 “Traffic Safety Culture Index,” released this month from the AAA Foundation for Traffic Safety, found that 87.5 percent of drivers surveyed believe that distracted driving is a problem on the rise, even more so than traffic congestion, aggressive drivers, drivers using drugs and drunken driving. “It used to be when you asked people what they feared the most on our roadways, 20 years ago, they said drunk drivers; 10 years ago, they said it was drugged drivers; now, they fear the most, distracted drivers,” said John Townsend with AAA Mid-Atlantic. “And guess what? They’re also guilty of the same offense on the highway,” he said. Townsend added that although drivers were concerned about distracted driving, they often also engaged in the same behaviors that they feared. Drivers don’t practice what they preach, he said. According to the survey, drivers texting or sending emails is the “most cited” threat to personal safety: 96.8 percent said that it is a very serious threat or somewhat serious threat. That was even higher than those who consider driving after drinking alcohol a serious threat. Yet, when drivers were asked about their own behaviors on the road in the last month, 44.9 percent of drivers said they read a text or email while driving, and 34.6 percent texted or sent an email while driving. The survey also found that most drivers are more concerned about email or texting behind the wheel than talking on the phone. 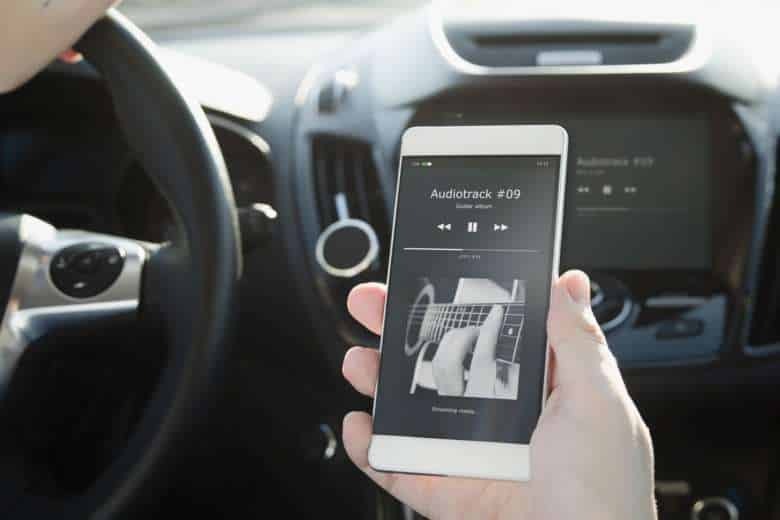 Other distracted driving behaviors involving cellphone use include 60.5 percent of drivers talking on a hands-free device and 49.1 percent using a hand-held phone. Drivers were more accepting of hands-free use than hand-held use while driving. Drivers were also asked about how often they saw certain behaviors on the road in the last 30 days. Around 92.8 percent of drivers reported seeing others behind the wheel talking on cellphones regularly or fairly often; 84 percent reported seeing drivers texting or sending emails. When it comes to regulating what drivers do behind the wheel, 87.6 percent of drivers surveyed supported legislation against reading, typing or sending a text, and 73.4 percent drivers supported laws against using a hand-held cellphone while driving. But taking away all cellphone use while driving? Only 40.9 percent supported an outright ban. The survey also asks questions about running red lights, drowsy driving, and driving under the influence of alcohol or drugs. Find the full survey here. The annual “Traffic Safety Culture Index” includes a sample of 2,613 licensed drivers ages 16 and older who reported driving in the past 30 days. The survey was administered between October and November of 2017.